Here’s your chance to treat your girls for FREE. Our friends at Hentastic have given us 4 hampers of Hentastic treats to give away, each worth £35. 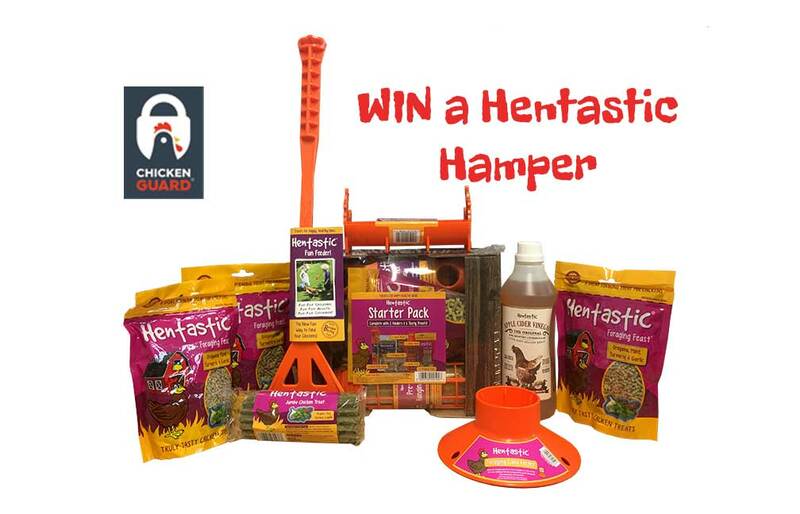 So we have a bundle of Hentastic goodies for FOUR lucky chicken owners. For your chance to win pop over to our Facebook page and leave us a comment telling us your hens’ favourite treat. The competition closes Sunday 27th May 2018 at 11.59pm, so don’t delay, cluck, cluck get on your way. Although not compulsory liking the ChickenGuard page will ensure you don’t miss any future promotions – more prizes and offers! Hentastic provide tasty complementary treats and durable feeders – tasty treats for happy, healthy hens. Treats contain healthy herbs and are ideal for hens of all breeds and ages. 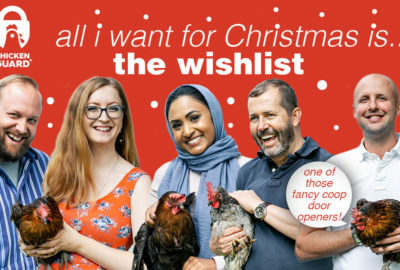 You can find out more about Hentastic’s range here: https://www.unipet.co.uk/hentastic. The competition is run by ChickenGuard, makers of the automatic chicken coop door opener. 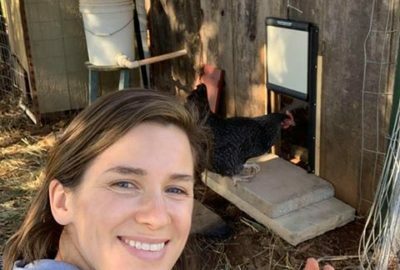 ChickenGuard is our clever little box that automatically opens the coop door in the morning and closes it at night, to help protect your girls from predators. Click here to view it and read some of our fantastic testimonials. Enter now to be in with a chance of winning. Just visit our Facebook page! There will be four winners each receiving one Hentastic Hamper worth £35. Open to adults aged 16 and over, excluding ChickenGuard employees and their relatives. Closing date for entries is 11.59pm GMT on Sunday 27th May 2018. 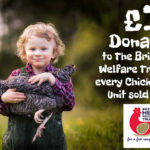 Entrants should leave a comment on the Facebook promotional post at https://www.facebook.com/chickenguard telling us your hens’ favourite treat – one entry per person. 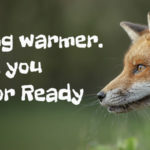 The winners will be informed by a reply to their comment plus a Facebook message within 14 days of the closing date and will need to respond within 14 days or a new winner will be chosen. The winner’s name will be available on request and published in the ChickenGuard enewsletter and on social media. The Hentastic Hamper will be sent within 14 days of the winner confirming their address. This is a true story sent in to us by Sarah McFarland from Paradise in Northern California. It is in Sarah’s own words and tells how her family and her chickens survived the Camp Fire in California. 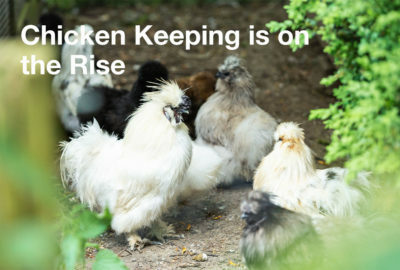 We recently wrote about some of the reasons chicken keeping is on the rise including the reward of fresh, free range eggs and the influence of the organic, local food movement. Here we’ve further reviewed our survey and discuss more of the reasons you give for keeping chickens like garden pest control, entertainment, and how developing technology, like ChickenGuard, makes it more practical to keep chickens. 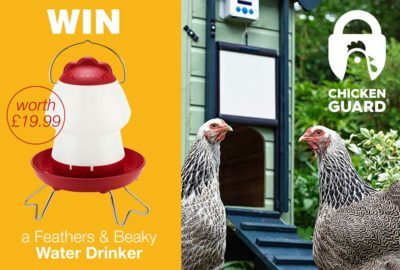 For our latest competition we asked you: if your hens could make themselves a cocktail what would it be? We had some fabulous answers. See them here and see who the winners were.